In Raleigh, North Carolina the non-profit religious group, Love Wins Ministries, makes an effort to feed and help the homeless every Saturday and Sunday. But this weekend was different. The group was attempting to hand out coffee and sausage biscuits when the police officers arrived. "This morning we showed up at Moore Square at 9:00 a.m., just like we have done virtually every Saturday and Sunday for the last six years," wrote Rev. Hollowell. "Today, officers from Raleigh Police Department prevented us from doing our work, for the first time ever." A Raleigh Police department spokesman said that Love Wins was violating a city ordinance because they had not obtained a permit. So now we can’t even spend our hard earned money and devote our time to helping the homeless because of a silly city ordinance? Well maybe the cops didn’t really understand what was going on? Nope! According to area news network WRAL, this is not the first time the cops have broken up an effort to feed the hungry. A group called "Human Beans Together" had to move their volunteers across the street from Moore Square. "We had lots of volunteers and lots of hungry people and nowhere to go," a member of the group said. Seriously? How is it that we are supposed to help fellow man when there always seems to be something standing in the way? 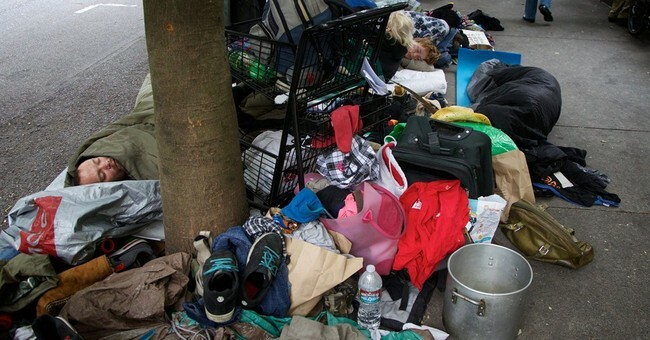 Why on earth do we need a city ordinance that keeps people from helping the poor? We need to teach our fellow citizens and children to help the poor, but local lawmakers and law enforcement officers are keeping us from doing so.